When it’s dull and gray outside, I can always count on makeup to brighten my day. 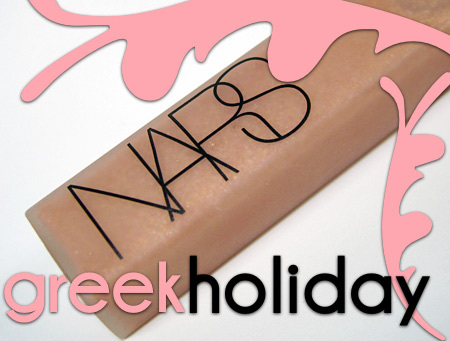 🙂 Today, for instance, I was staring out my window and daydreaming about warmer weather when I remembered a little tube of sunbeams known as NARS Greek Holiday ($24). Part of NARS’ permanent collection, her sheer, peachy pink with golden glitter makes me feel like I’m lounging under a beach umbrella somewhere, blissfully warm, with a good book to read and a pretty view of the ocean. I usually wear Greek Holiday by itself (no mirror required! ), but sometimes I’ll apply it on top of a creamy red lipstick, depending on how adventurous I feel. What do you think of Greek Holiday? Have the two of you met? Next Post: What Are You Wearing on Your Nails Today? That looks like a great gloss for layering! Love it. Hey Pia! You can still easily fake it this look, really! Try lining and filing in your lips with MAC Cremestick liner in Sublime Culture or Honey B.! 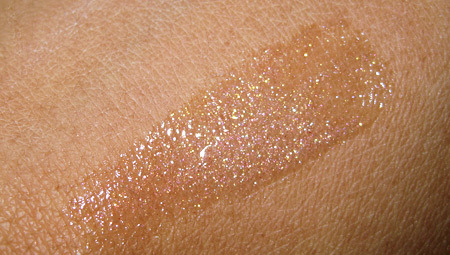 .-= Vonvon’s last blog post… Swatches & Overview: Estee Lauder Michael Kors Very Hollywood Spring 2010 =-. I haven’t met Greece… nor have I had a Greek Holiday! I’d like to though! Spring needs to hurry up and get here! Winter is wearing me out! Nope, I haven’t met Nars yet. My weekend is torn between doing my homework and finalizing my nail polish choices so I can order them. I’ve finalized all but one–I’m still debating about getting Essie’s Lilacism. One day I like it, the next day it looks too warm for my skin tone, another day it looks like it may give me Corpse Hand Syndrome (or its evil twin Lobster Fingers) and another day I’m back in love with it. I need a cool-toned pale skinned swatcher to swatch that color. I can’t decide and Zena has snorted at it. Maybe I should take a cue from my dog? 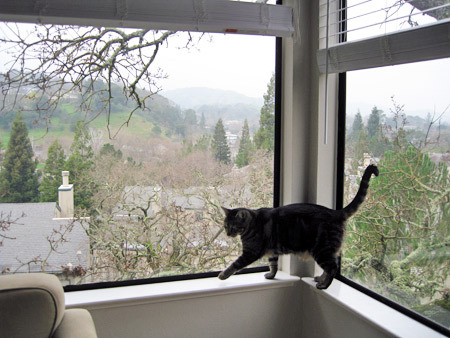 How’s King Tabs handling his Indoor Kitty status now that he’s been one for a few months? Is it becoming easier or is he still on strike? Lovely color. I have a Wet N Wild one that finishes just like it. You make me want to buy everything lol. The gloss is tempting! .-= Vanessa H’s last blog post… TGIF Survey And MAC Class Pictures =-. I’d love to meet Greek Holiday, LOL! So pretty..it probably looks fantastic over reds, and wines too. .-= Marce’s last blog post… Guess who’s back? – Dark Smoky Look =-. Looks like a great layering colour! I would love to go on a Greek Holiday and I would take Greek Holiday lipgloss with me. This reminds me of Chanel “beige guitare.” My favorite lipgloss from NARS is harlow. Greek holiday looks quite similar. Harlow and Greek holiday are waaaayyyyyyy different! But I recently bought Chanel’s Maline glossimer thinking I didn’t have that colour in my arsenal but lo and behold I had Nars’ Greek Holiday which is a smidgen pinker but the multicoloured glitter and sheen are a match! Thank you for pulling out these NARS glosses and reminding what is sitting (all sad and lonely) in the bottom of my makeup bag of glosses! I did wear this the other day layered on top of Falbala lipstick. I need to try on Cruising – but maybe I shouldn’t. I’m already broke and NARS milky pinks are my weaknesses!